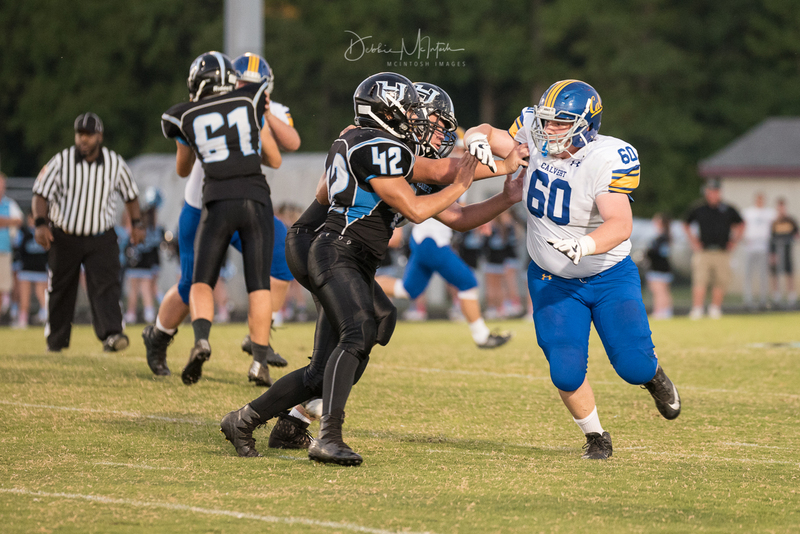 The Calvert varsity football team took on the Huntingtown Hurricanes on Friday night. Calvert was trying to win their second straight game after defeating Leonardtown last Friday. Calvert received the opening kickoff on their own 20-yard line. 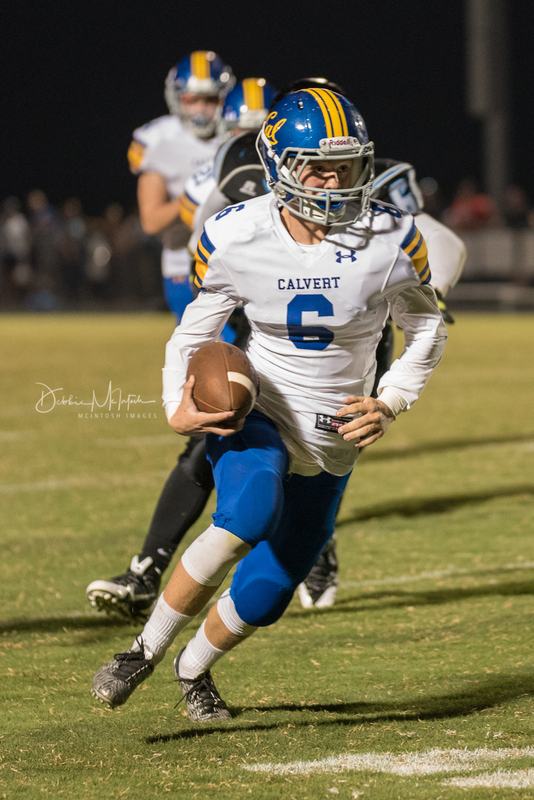 Calvert quarterback, Micheal Floria, initially struggled to connect with his receivers. This resulted in a short drive with Calvert picking up only one first down after a run by senior running back, Gavin Lusby. After Calvert’s punt, Huntingtown’s offense got to work with quarterback Ian Morgan handing the ball off to running back, Jalen Jones. However, Calvert’s defense forced the Hurricanes to punt after only three plays. After a scoreless first quarter, Calvert’s offensive line started off strong. They opened holes for running back Dre Mackall and Mackall capitalized, moving the offense down the field. 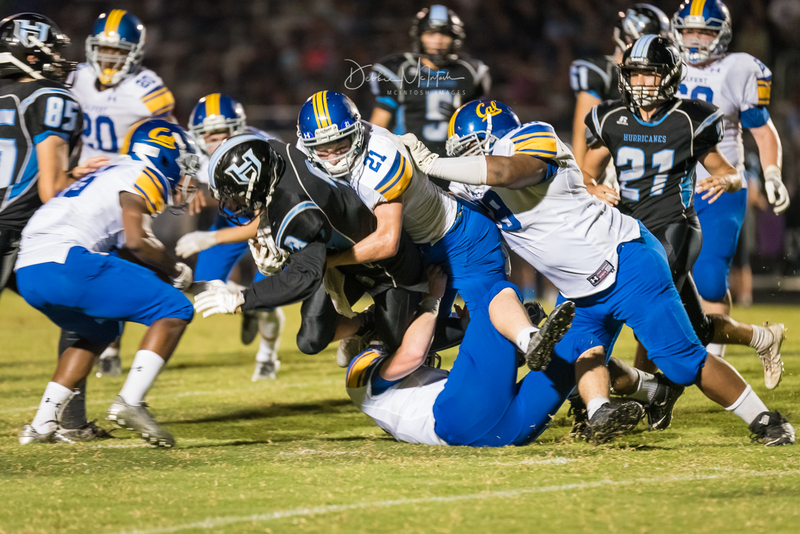 Huntingtown’s defense stingy defense bowed up again as they made a huge stop forcing another Calvert punt. With less than two minutes to go in the first half, Huntingtown started the next drive at their own 24-yard line. 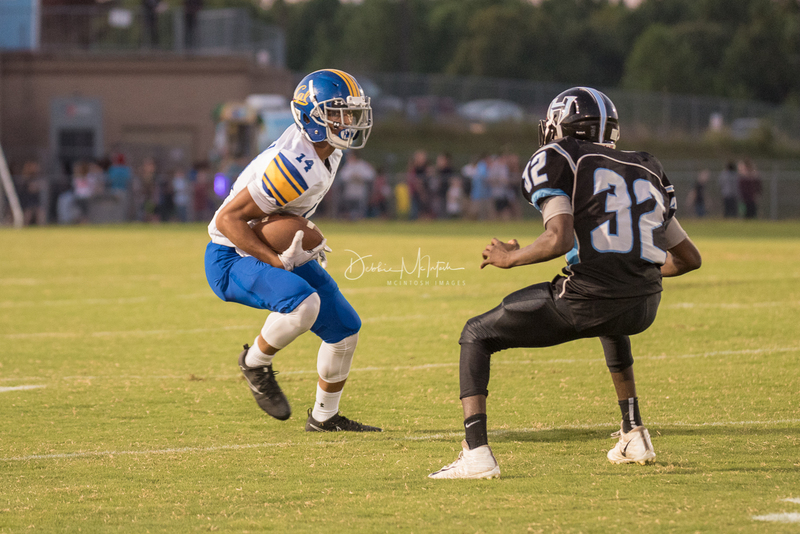 During Huntingtown’s drive, Calvert forced a fumble and recovered the ball, leaving a short field to work with. Calvert’s running game went to work and Gavin Lusby ended the drive running his way into the end zone, giving Calvert a 6-0 lead. Kevin Pitchers kick made it a 7-0 lead going in at half time. At the start of the third quarter, Huntingtown’s offense continued to have to be unproductive as quarterback, Ian Morgan lacked consistent chemistry with his receivers. This resulted in another punt for the Hurricanes. After a three and out by Calvert, the Hurricanes got the ball back hoping to tie the score. Those ambitions failed with Ian Morgan throwing an interception to Calvert’s Jacob Bowen. 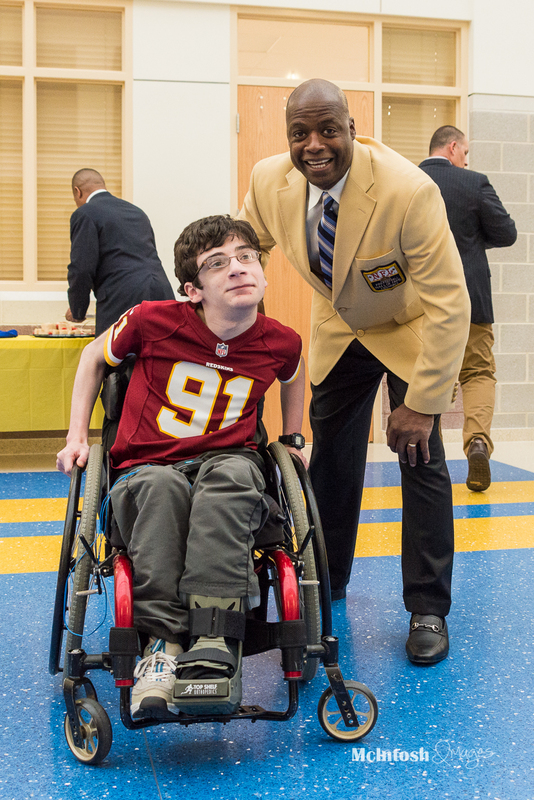 A couple plays later, Lusby had his second touchdown of the night, extending Calvert’s lead to 13-0, followed by another extra point by Kevin Pitcher making it a 14-0 score. 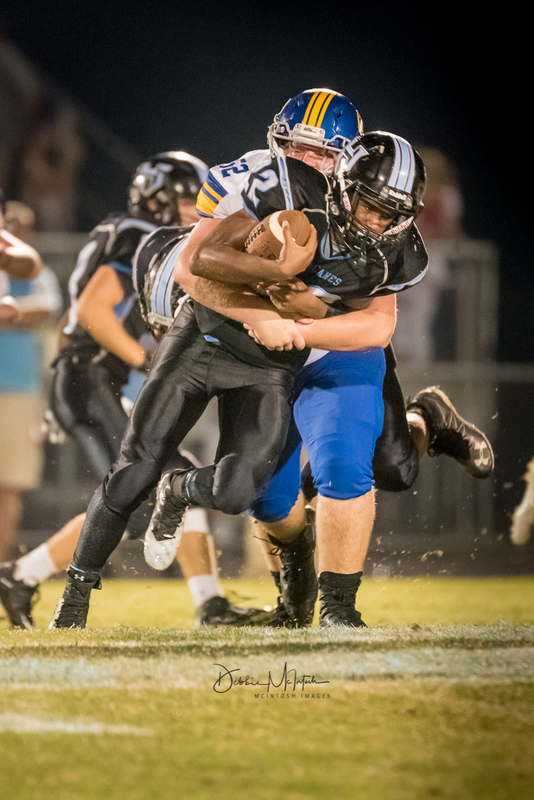 Late in the fourth quarter, Huntingtown had hopes of avoiding a shutout, but those hopes were dashed by their fourth turnover of the night. Calvert ended the game with their second straight shutout. Calvert will try to make it three in a row, as they travel to Westlake this Friday night.